This page will focus on the championship history lists from all of the major high school , college, clubs from the Philadelphia area.. 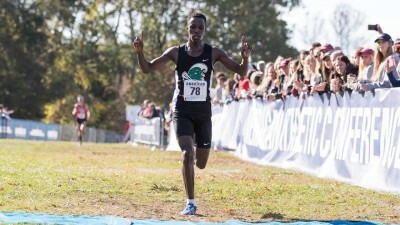 Both the Philadelphia Catholic League, Philadelphia Public League, college conferences, CYO, and USATF have a long history of championship races at Belmont Plateau since 1963. We will also list championship results that were used other parks , such as Cobbs Creek and Strawberry Mansion(33rd and Dauphin St) before the Belmont Plateau Course was established in 1963. The results listed are to the best of our knowledge and much of the credit is to Ted Silary high school listings, Dermot Curtin, Joe Ryan, Fred Rosenfeld, and Ed Ulmer. (Coaches and runners that date back to the 1960s). The Phila Catholic and Philadelphia Public League Girls Championships where always at Belmont Plateau starting in the 1970s. Missing results will be added as we obtain them. This lists will mainly focus on the cross country races, invites and championships that uses Belmont Plateau as their host site on an annual basis. We have also included all of the updated Champions List of the MAJOR long running Road Races held in the City of Philadelphia. List below and other championship lists on this site was compiled and verfified from Philadelphia Inquirer archives. MR= MEET RECORD Belmont Course CC Course was 2.3 miles at Strawberry Mansion (33rd and Dauphin). (PCL Moves to Belmont Plateau Park at the start of the 1965 SEASON) from the 2.3 mile Strawberry Mansion Course (33rd and Dauphin) **MR est. in 1965 on the new course at the 2.6 mile Belmont Plateau Park course for the PCL Championship. The PCL championship would remain at Belmont Plateau until the present day. Belmont Plateau CC Course from 1973 to 1989 was 2.9 miles. ** MANY THANKS TO THE PHILADELPHIA INQUIRER AND PHILADELPHIA DAILY NEWS ARCHIVES IN THE SEARCH FOR ALL OF THE HISTORY OF THE PCL XC CHAMPS ABOVE.